← Check out JURASSIC WORLD: The Exhibition! What they don’t know is that I’m not, actually, that prolific. I write and polish exceptionally slowly. For me, the works I create are more than just wild ideas that I bang out on a keyboard for fun, and they always have been. They are much, much deeper. They are the way I process the world, the way I resolve issues from my past and concerns about my future, the way I honor and preserve magical or destructive moments in my life. There’s something I’m trying to express so I can sort it out, or something I’m trying to say to the world. For this reason, very rarely is anything I write one and done. Stories will sit, unfinished, for months or even years, in files in my basement. Some become like forgotten Thanksgiving leftovers in the back of the fridge. But some are like those things you’re always saying you’re going to get to doing around the house, like painting the wall you primed last summer or cleaning out the garage. They hang over me like a Sword of Damocles, left painfully unfinished, gnawing at me even as I’m finishing a newer, shinier project. “Hairless Girl Does the Hula” was one of those stories. I started it in January of 2008, shortly after my father passed away. That dark time opened up a lot of wounds for me, not just those that were associated with fresh grief. I looked back at my life and some of my choices, and at how stupid and damaging some of those choices were. What emerged was a picture of what I wanted in life. Like, what I really wanted, in the metaphysical sense: self-acceptance, and unconditional love from others. As much as the story is about those things, it is also about the lengths we will go to get them, even if those lengths are, at times, unhealthy—and how those unhealthy choices can haunt us for the rest of our lives. For the past ten years, I’ve struggled to complete that story. It was always in the back of my mind, that sword I referenced earlier. Every time I pulled it out to work on it, I’d think, “this is worth finishing. I must finish this. This time, I will.” But I never did. Over time, I got it three-quarters of the way done—to the point of polished, done—but for some reason could never engage with the last scene, and how the piece should end. I’ve only realized, just now, that the reason I could never finish it was because I wasn’t satisfied with how the situations I was in—decades ago—crashed to a close. That I wasn’t going to find self-acceptance and unconditional love in those circumstances, and that no amount of ruminating over those horrible endings was going to change them. What I simply had to do was recognize them for what they were, close them out in all of their terrifying glory, and move on to a new beginning. Today, I achieved that. I got up at five a.m. and hit the keyboard. And out came the ending. I said goodbye to all those painful things, and I’m looking forward to a new tomorrow without them. Prolific isn’t about how much you write. It’s about how complete and resolved within you what you write actually is. Sure. I could’ve written a hundred meaningless, empty pieces with the energy it took to finish and craft “Hairless Girl.” But there was nothing more explosively joyful than finally, after ten years, typing that last line and knowing that I had said what I needed to say. That I had finally processed the more damaging pieces of my relationship with my dad, that I had finally processed and let go of the damaging pieces of a two-decades-old former relationship with a lover so that I could put those things where they belong—in the past, forever, and journey into a new beginning. I can forgive what was done to me by both of them, I can accept them both for who they were and the circumstances that made them that way at the time, I can forgive myself for the painful things I did and said in response and how inwardly ugly I was back then, and learn new responses and be a better person instead. This July 4th truly is Independence Day. And that, my friends, is why, despite the up up ups and down down downs, This Writing Life is all worth it. 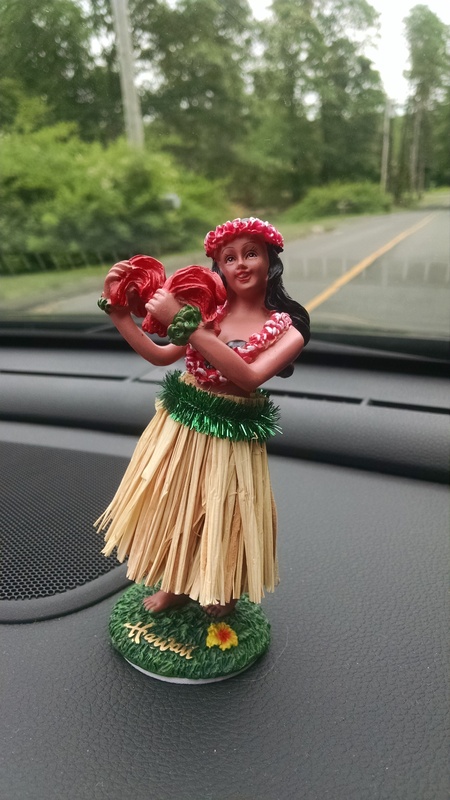 Posted on July 4, 2018, in Deep Thoughts & Fun Stuff, The Writing Life and tagged dashboard hula girls, forgiveness, how prolific should you be as a writer, Independence Day, letting go of the past, writing as therapy. Bookmark the permalink. Leave a comment.